▲If you don't already own a COMPACT Cordless (AK) battery & charger, we recommend choosing a different option above. If you want to save time in the garden, the battery-powered BGA 56 garden blower is the tool for you. Lightweight and well-balanced, the BGA 56 is easy to use, and with an extendable blower tube, it can be adjusted to suit you perfectly. The powerful blowing force means that you can easily clear away debris, such as leaves, twigs and dirt, from your garden. 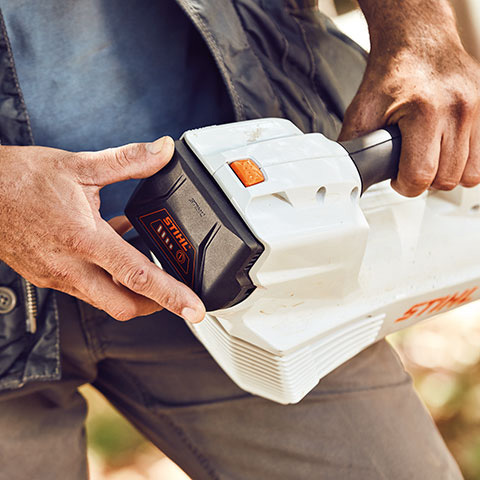 The BGA 56 is part of the COMPACT Cordless System of tools, which includes a grass trimmer, hedge trimmer, chainsaws and lawn mowers and uses interchangeable batteries that can be used across the range. 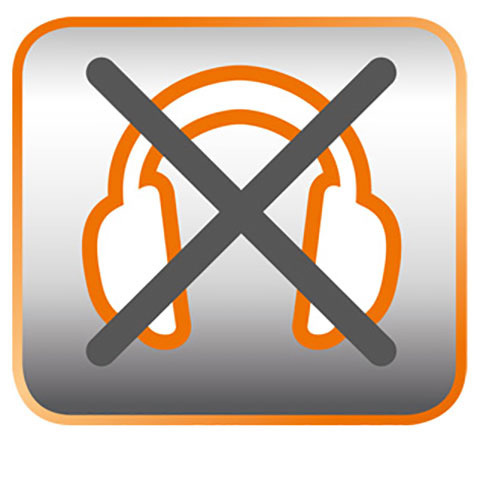 The STIHL Compact Cordless System tools are so quiet you don't even need to wear ear protection. The length of the blower tube can be easily adjusted to suit your height, so you have control over the direction of the blowing force. 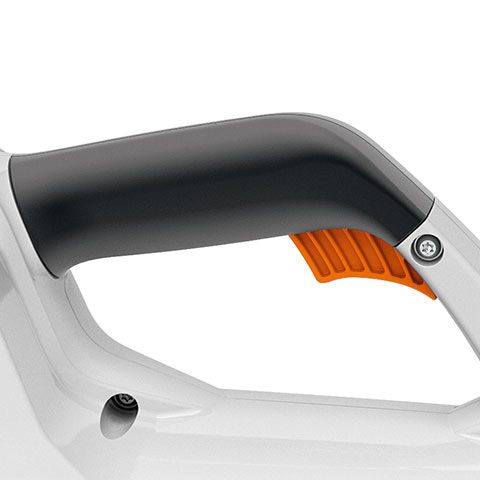 All of the controls and the safety locking lever are within easy reach on the handle, which makes it easy for you to use whether you are right or left-handed. There are two positions for the battery - in the first neutral position, the battery is secured in the machine but is not connected to the contacts. This means you can carry the battery around easily without accidentally starting the blower. In the second position, the battery is fully pushed in and you can easily start the tool. The handle has a soft finish, so it's comfortable to hold, even when you're using it for longer, and provides a secure grip no matter what the weather. 36 V Lithium-Ion battery for the Compact Cordless System with an impressive 118 Wh capacity. The battery run time differs depending on which tool it is fitted to, see individual models for more information. With charge level indicator (LED). 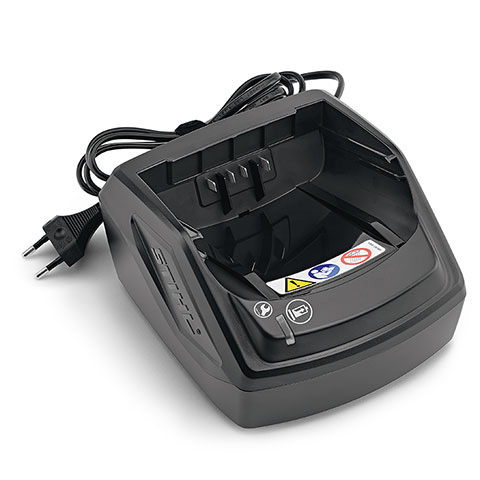 Use in conjunction with the AL 101 battery charger. 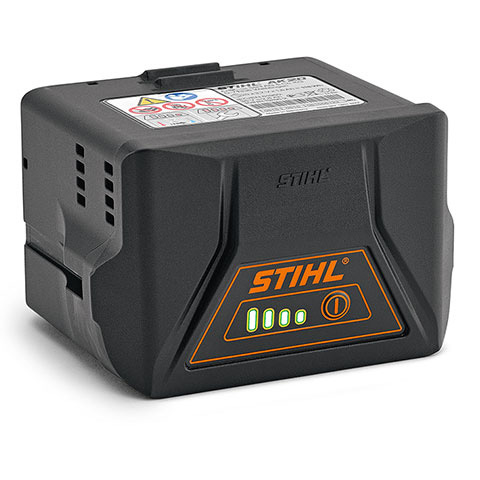 Charger for the STIHL Compact Cordless System. With operating mode indicator (LED) and cable tie with Velcro tape. The charger can be wall mounted if required. QHow long does the battery last? A: The recommended AK 20 battery will last up to 20 minutes or enough time to clear an area up to 600m², depending on what you are clearing. QHow long does it take to charge? A: To fully charge an AK 20 battery using the AL 101 charger, it takes 150 minutes, but you can charge it up to 80% in 105 minutes. QWhat size garden will it maintain? A: The BGA 56 leaf blower is great for clearing medium to large gardens. QWhat battery does it use? A: The blower is powered by an interchangeable 36V Lithium-Ion battery. A: Yes, all of the tools in the COMPACT Cordless System use the same style of battery. There are three different batteries in the range, which all have different capacities. For the BGA 56, we recommend the AK 20 battery, and it is designed to be perfectly balanced with this battery, but you can also use the higher capacity AK 30 battery in this tool. We don't recommend using the AK 10 as the BGA 56 won't run for as long with this smaller battery. QWhat should I wear when using this blower? A: We recommend that you wear snug-fitting clothes, goggles, gloves and sturdy boots or shoes, and tie back long hair. When you have finished using the trimmer, remove the battery and clean using a damp cloth or soft brush. Store your BGA 56 in a clean and dry area and keep out of the reach of children at all times. You can hang it on a hook using the eyelet in the handle. It takes more power to blow away damp leaves than dry leaves, so it will take you longer to clear a smaller area of wet leaves. If you can, wait until a dry day to clear your garden to make the most of your battery. Instead of just blowing the leaves around the garden, blow them into a corner to keep them contained and make it easier to collect them up. Don't use a damp or wet battery in your BGA 56 and avoid using them in extreme temperatures (very hot or very cold). To find out more about looking after your battery, read our blog post. 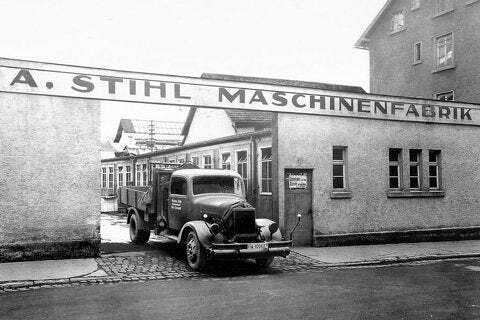 Andreas Stihl founds an engineering office in Stuttgart and develops his own chainsaw. 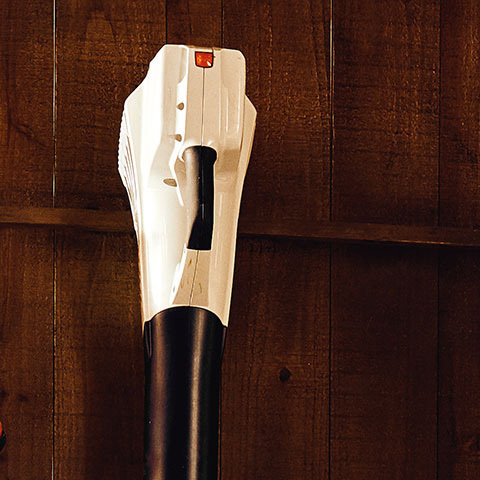 STIHL becomes a brand. 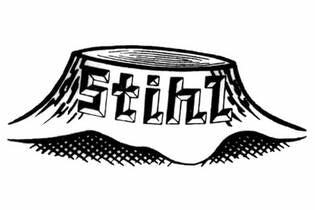 The name represents the ceaseless quest of the engineer and company founder Andreas Stihl to ease the heavy labour of forestry work with his inventions. 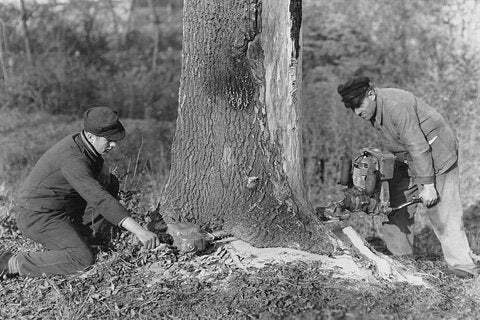 STIHL presents his portable petrol-powered chainsaw at the Leipzig trade fair – it is well received and orders flow in from across Europe. The BGA45 is an easily manoeuvrable cordless blower for clearing small outdoor areas at home. Easily manoeuvrable cordless blower for cleaning small outdoor areas at home. Enjoy the versatility of blowing, collecting and shredding material in one machine. 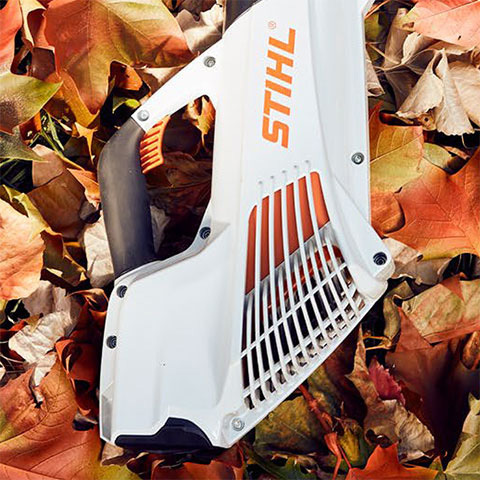 By entering your email address, you are confirming that you would like to receive regular emails from STIHL with its latest promotions, competitions, advice, news & asking for feedback about STIHL and its tools. 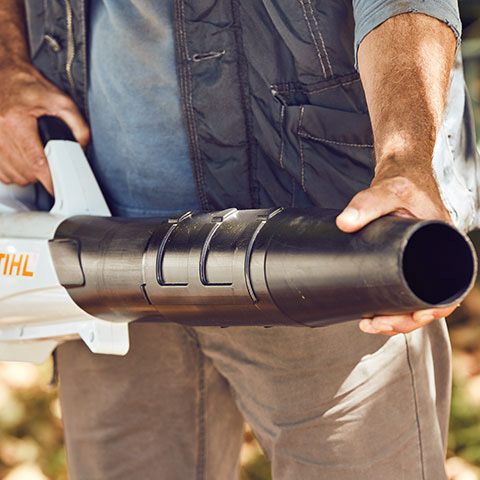 STIHL have led the field in the innovation and production of top quality garden and power tools since Andreas Stihl founded the company in 1926. © 2019 Andreas Stihl Ltd., Stihl House, Stanhope Road, Camberley, Surrey, UK, GU15 3YT.